Imagine our surprise last night when Theo yells down from getting ready for bed, "Mom, Dad, do you know Wherefore Rejoice?" I knew it was Shakespeare, but I admit I had to look it to find out it was a monologue from Julius Caesar. Apparently, the Schoolhouse Rock directors use it as a warmup exercise. Theo learned it from listening to the other kids do it. 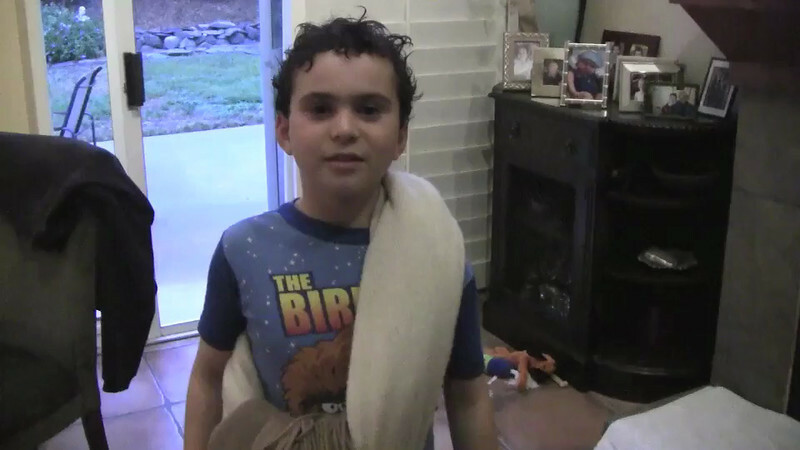 So it was his idea to don a toga over his Angry Birds pajamas and get of video of him doing it. He didn't quite have the last line, but all in all, for a kid who has no idea what a Pompey is, much less who, it's pretty darn good.